The 2018 Minnesota Fishing Opener is fast approaching, are you ready? Me neither! But, I will be by the time Saturday morning rolls around. These darn turkeys have really been ruling my mind, but I need to but them on the sidelines for a little bit because unfortunately they don’t pay the bills. We just had our first corporate guide trip of the season yesterday and it was a success. We picked up a fun group from Maddens Resort on Gull Lake and everyone had a great time. We caught crappies, bass, rock bass, dog fish, bullhead and blue gills. The walleye, pike and bass season opens at midnight on Saturday. The Minnesota Fishing Opener is a BIG deal and should probably be a holiday. By the way, Happy Mother’s Day mom and to all of you other mothers too. With the ice just recently going out, the water temperature is still quite cold and I think we will be finding a lot of the fish quite shallow. In fact, I think there will be a lot of fish caught in less than 6 feet of water. The key to catching these fish is to try and not spook them, especially with these extremely clear lakes around the Brainerd area. Night fishing is going to be good this weekend and actually for the rest of the year. It’s kind of a no-brainer to catch these fish trolling at night, but if you get a nice night it is really quite enjoyable. I have not done much of it up until last year, but I had fun on the few nights that I was out. Saturday morning we will be opening up on Gull Lake once again and fishing with Doug Lewis and his friends and family. Just after the trip, I will be heading over to Bar Harbor to get the Lil’ Fry Fishing Tournament up and running. This is the 4th annual, and thanks to John Allen and the other sponsors and volunteers this tournament has been a real blessing to a lot of kids. We are giving away $1000.00 cash and some other prizes too. Thank you Bruce Meinz and Berkley for the buckets, thank you Cook Family and McDonalds for the cash and the coupons, thank you Real Tree Fishing and Birch Island Bait for the baits and the cash, thank you Brainerd Warrior Fishing Team for the cash and thank you Pheasants Forever for the cash. If you are interested in being a spectator, feel free to stop at Bar Harbor on Saturday from 1-3 to watch some happy kids fishing. 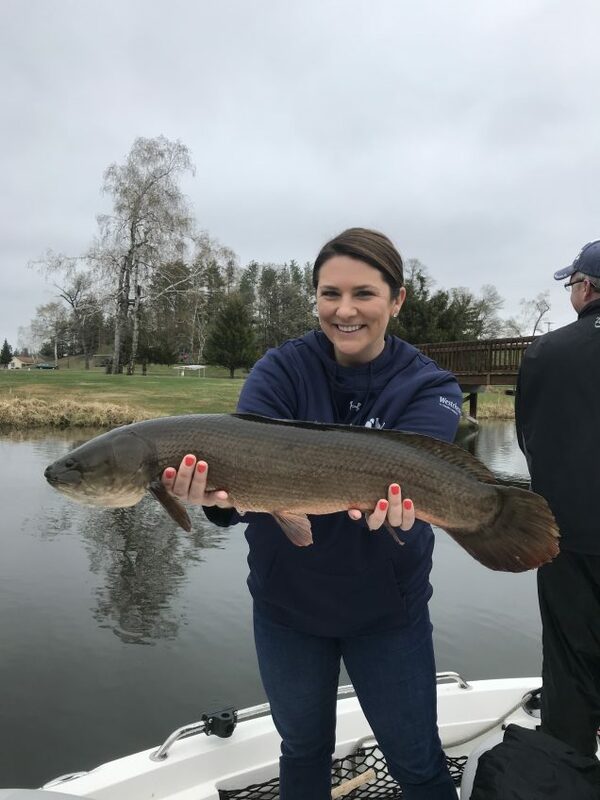 If you are interested in booking a guided fishing trip with our guide service this season, please call Shelley at 218-839-5598. Also, we got a new shipment of hats in the other day. You can order them off our Facebook store using Pay Pal or Venmo.